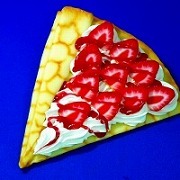 Strawberries, whipped cream, ice cream and strawberry sauce oh my! 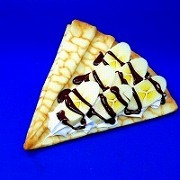 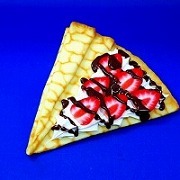 Did I forget to mention that this crepe has strawberries? 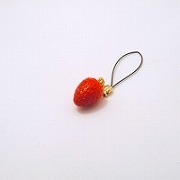 Please the strawberry fan in your life with this one of a kind piece of art.